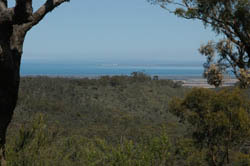 A beutiful drive through and on top of the Flinders Ranges with spectacular views of Spencer Gulf and surrounds. Take a picnic. Track closes for Fire Danger Periods.